Another good piece of news for punks who can bear a bit of metal in the production of their fave bands. The Italian RABID DOGS mix the aforementioned styles in a very balanced way. So their production has a bit of Discharge as well as of Motörhead with smartly added stoner riffs. Another plus is they have chosen spaghetti western school as the main theme of their lyrics. To use the band`s words „…because violence is an italian art!“. An excellent ride! Nowhere else than live at OEF 2015!!! Rabid Dogs is born at the beginning of 2009, from the ashes of Italian death/grind acts Bestial Devastation and Tools Of Torture, as a new project inspired by 70s Italian thrillers and exploitation movies. 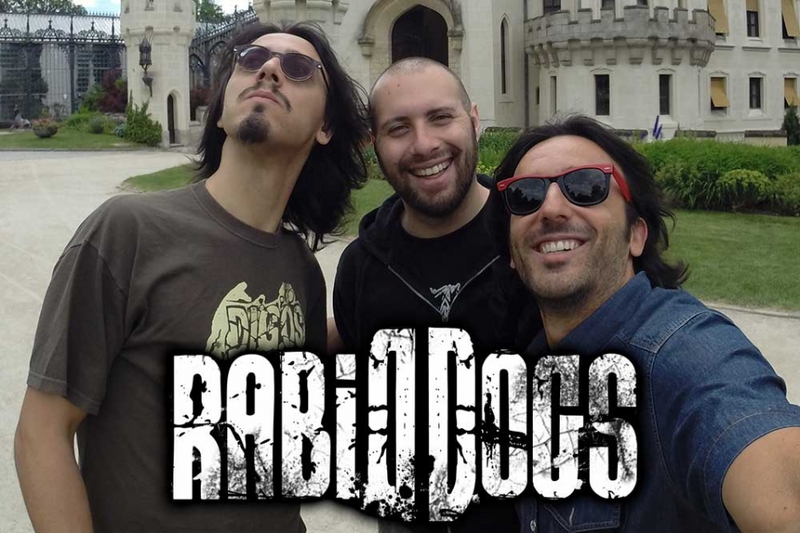 Mixing grindcore, punk, stoner and rock & roll with pulp themes, Rabid Dogs will lead you to the filthy gutter of “spaghetti-land”... because violence is an Italian art!